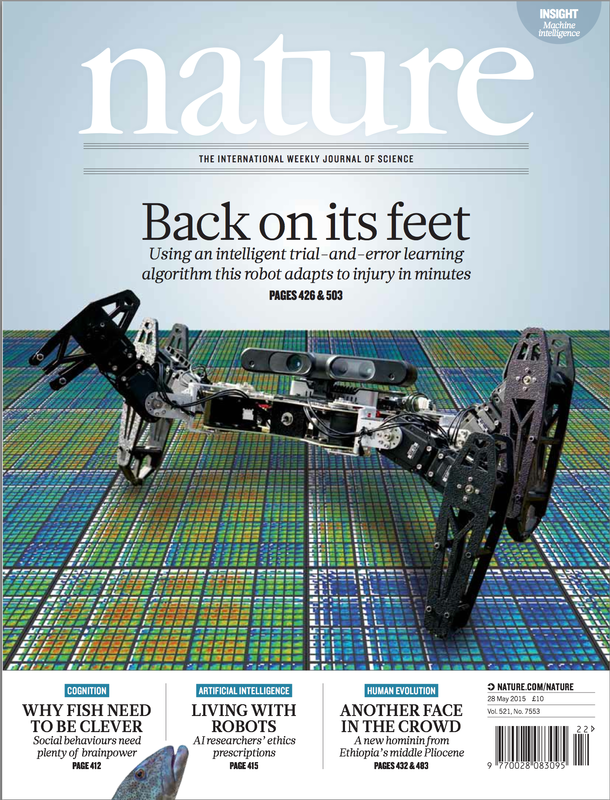 Our last paper is on the cover of Nature! See our press material page for videos, FAQ, etc. The diversity and overall efficiency of lifeforms demonstrates the power of evolution as an optimization and innovation process. Evolutionary Algorithms (EAs) takes inspiration from this success and they are now mature black-box optimization algorithms and creative, automatic open-ended design methods. Natural evolution is however more than a creative optimization process, it is also an efficient mechanism to adapt lifeforms to new environments and constraints. Importantly, such an adaptation to new situations is one of the main open challenges in robotics because autonomous robots have to deal with many situations unforeseen by their creators. 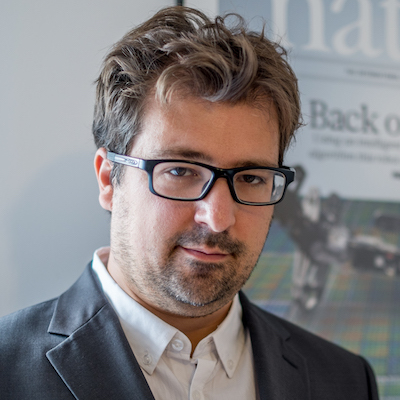 Nevertheless, researchers in Evolutionary Robotics (ER) almost exclusively focused their efforts on the optimization abilities of the evolutionary process. Only a few, disparate works investigated the adaptive power of evolution for robotics. The overall purpose of this project is to fulfill this gap by employing both the creative and the adaptive abilities of evolutionary algorithms to design algorithms that can autonomously and creatively adapt the behavior of robots to unforeseen situations. 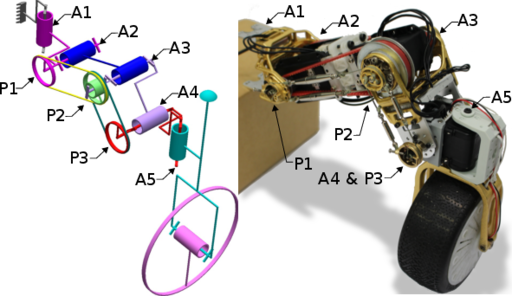 In the typical scenario, a mobile robot faces a situation that requires adaptation (e.g. a leg is broken or the ground surface changed). The robot is allowed to launch a few experiments to investigate the situation; after a few minutes it should be able to cope with the new situation to pursue its mission until a new adaption is required. 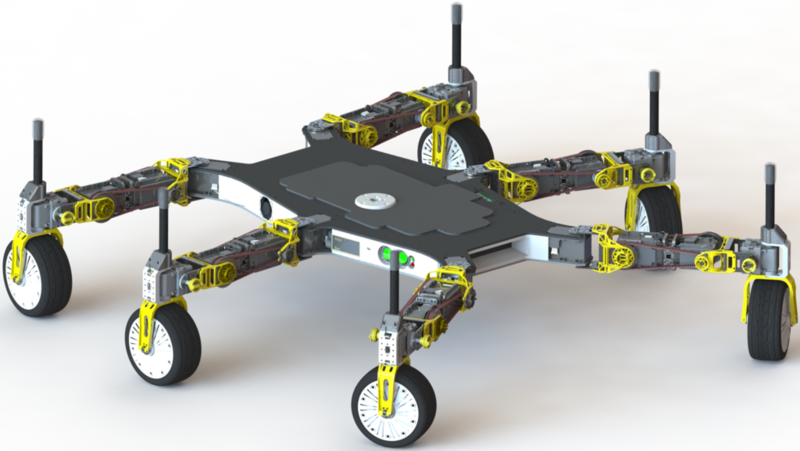 Algorithms that will be developed in this project will be tested on versatile wheel-legged robots based on commercially available ``bioloid'' kits. Instead of trying to simulate the evolution of an ecosystem of robots (i.e. directly copy natural evolution), we will take inspiration from direct policy search algorithms that have been designed for reinforcement learning scenarios in robotics. To expand the range of possible behaviors and thus enable a creative adaptation, we will substitute the local optimization algorithm that power these algorithms with evolutionary ones because they can optimize both the structure and the parameters of controllers. we will improve evolvability (i.e. the ability to quickly adapt to new situations) as much as possible by using a bio-inspired encoding (HyperNEAT + non-linear oscillators) and by encouraging modularity (by adding new selective pressures). Clune, Jeff* and Mouret, Jean-Baptiste* and Lipson, Hod (2013). The evolutionary origins of modularity.